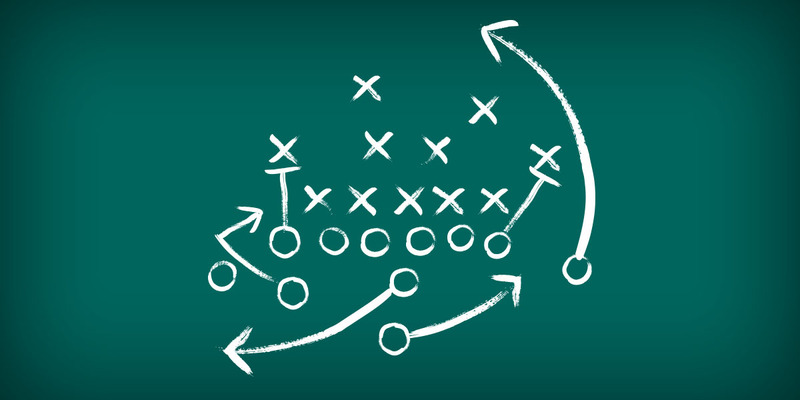 Institutions are using a first round of strategies to pull back intercollegiate athletic funding and keep it more apace with what is spent on academic priorities. College and university Division I athletics departments typically spend three to six times as much on each athlete as the institutions do to educate the average student, according to data from the National Collegiate Athletic Association (NCAA) and the Delta Cost Project. From 2005 to 2010, athletics costs increased at least twice as fast as academic spending, on a per capita basis across each of the three Division I subdivisions. Those figures, and many more like them, are building a growing concern among higher education’s senior leaders that college athletics programs are not sustainable for the long term. For example, in a 2009 survey of university presidents, sponsored by the Knight Commission on Intercollegiate Athletics, fewer than one quarter of presidents said they believed intercollegiate athletics were sustainable in their current form at their institutions. Nearly half expressed concerns about the proportion of institutional resources being used to support athletics programs, and a similar proportion said they feared that economic pressures might force them to discontinue one or more sports. Similarly, in the “2012 Inside Higher Ed Survey of College & University Presidents,” when asked about the overall status of intercollegiate athletics in American higher education, fully 75 percent of college and university presidents surveyed agree or strongly agree that colleges and universities “spend way too much money” on intercollegiate sports; 67.8 percent believe that the “athletic scandals of the past year have hurt the reputation of all of higher education, not just the institution involved”; and almost half (48.2 percent) view the recent scandals as “inevitable” in big-time athletics programs. Amy Perko, executive director of the Knight Commission, says, “At a time when all of U.S. higher education is under unprecedented pressure to be more transparent to the public and more accountable for the results it achieves, intercollegiate athletics cannot expect to be immune to the same standards. 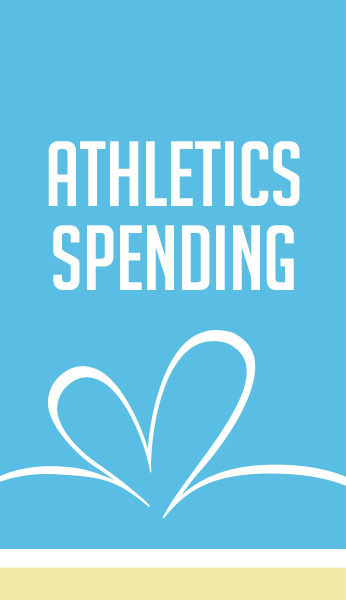 As institutions seek methods to rein in athletics spending and more closely align spending with academic priorities, their actions include everything from cutting sports programs to building closer, more in-touch relationships among athletics offices and central business offices. At the same time, sports-related organizations such as the NCAA and the Knight Commission are creating tools to assist in the process, particularly those that make data tracking and analysis more efficient and available for benchmarking and decision making. As colleges and universities struggle to strike the right balance between academic and athletics spending, a growing number of them are making tough decisions to cut sports or transfer to less expensive divisions of competition. For instance, Temple University, Philadelphia, recently dropped from 24 athletics programs to 17, cutting sports that included baseball, softball, rowing, and men’s gymnastics. The decision was a financial one, as university leaders realized they could not continue to fund two dozen athletics programs at appropriate levels as the costs of intercollegiate athletics continue to rise, according to a statement by Kevin Clark, vice president and director of athletics. And Temple isn’t alone. Rutgers University, New Jersey, dropped six sports in 2007; Robert Morris University, Illinois, is cutting field hockey; and Spelman College, a historically black college in Atlanta that competed in NCAA Division III, dropped intercollegiate athletics altogether last year in favor of a health and fitness program designed to benefit all its 2,100 students. Before returning to Division II sports in 2010–11, Reaves says WSSU racked up unsustainable costs and processes. For instance, some coaches were being paid from academic department budgets, while student athletics fees, at $579 per student, were some of the highest in the state. When the decision was made to stop pursuing Division I competition, WSSU eliminated three sports—men’s indoor track, men’s outdoor track, and men’s golf—and made other changes, such as setting a fundraising goal for the athletics department and giving the department a strict budget, Reaves says. Other universities seek ways to boost their athletics programs while valuing academic priorities at the same time. For instance, the University of Maryland, College Park, recently made the decision to move to the Big Ten athletics conference from the Atlantic Coast Conference (ACC), in hopes of (1) eventually generating increased revenue for the university’s athletics program, and (2) gaining the benefits of the Committee on Institutional Cooperation (CIC), a consortium of the Big Ten universities plus the University of Chicago that facilitates the sharing of expertise, leveraging of campus resources, and collaboration on innovative programs. While the board of the University System of Maryland leaves such athletics decisions to the campus president, System Chancellor Brit Kirwan supported the move “not only because of the potential for increased revenue but, more importantly for me, because of the strong academic alliance that exists within the Big Ten and that does not exist within any other conference except possibly the Ivy League,” he says. That alliance, the CIC, was established by the presidents of the Big Ten conference members in 1958 as the athletics league’s academic counterpart. For the University of Maryland, the increased athletics funding necessary for joining the Big Ten was considered worth it because of the academic opportunities offered by membership. “Membership in CIC is why the faculty at UM were in support of the move to the Big Ten,” confirms Kirwan. While some institutions are cutting sports or limiting athletics programs that are growing too expensive to sustain, others are managing the cost issue by implementing changes in the way athletics are funded and reported. Altering the governance structure. For instance, North Carolina has made changes to the governance structure in its state universities; the chief compliance officers for athletics and the athletics directors report directly to the chancellors, which helps top leaders keep close tabs on spending. Coordinating the budget process. At the University of Notre Dame, Notre Dame, Indiana, the athletics budget office “follows the same financial protocol as all other departments,” says Andrew Paluf, associate vice president for finance and controller. Athletics business officers attend the annual budget meetings, in addition to quarterly business manager meetings. Athletics budgets are set after discussions of what happened during the past year and the projected needs for the coming year. In addition, the university business office stays in touch with the athletics office on a regular basis. Evaluating athletics financial data. Beginning with FY04 reporting, the NCAA began requiring members to submit their athletics financial data. The past 10 years’ worth of such data is accumulated in the NCAA Dashboard, which allows member institutions to see how their program is doing on spending and how it compares to others across the country. When annual dashboard information is updated, the NCAA alerts university presidents, CFOs, and athletics departments; but the tool is also accessible and easy to use for others across campus, such as the finance division or budget office. At Notre Dame, for instance, the dashboard has been used to help with benchmarking and to pinpoint areas where spending trends may differ. “Throughout the year, we have used the dashboard to see trends across the country and compare them to our numbers,” Paluf says. Comparing academic and athletics spending. A similar tool, the Knight Commission Athletic and Academic Spending Database, enables administrators, researchers, policy makers, taxpayers, fans, and others to compare trends in spending on core academic activities with spending on athletics in public Division I institutions, Perko says. In addition to athletics spending information, the database also includes trends in institutional funding for athletics through student fees and other institutional sources. Given the significant role football plays in shaping Division I spending patterns, football-only spending data are included for additional analyses. The database, which draws on data provided in various public reports, allows users to compare trends and search by institutions, conferences, and subdivisions. After launching in December 2013, the Knight Commission database has already been mentioned in a report by a University of North Carolina Board of Governors’ working group on athletics financial transparency. The report, says Perko, referenced the database as one of the publicly accessible databases that is available for learning about different aspects of intercollegiate athletics. NCAA’s McNeely says that she frequently hears athletics business officers say they have “little to no relationship” with the finance staff on their campuses. And when the central business office rarely or never interacts with the athletics business office, the campus is missing a vital opportunity to keep athletics costs under control and informed by the context of the larger university. Part of building a close relationship is developing an understanding of where the other party is coming from. Not only should CBOs ask how much money the athletics office needs for the coming year, but they should try to understand why the needs might change from year to year. For instance, an athletics program will earn more revenue on the years the football team plays at home against opponents whose fans travel, pay for parking, and buy lots of tickets and concessions. In 2010, the Knight Commission outlined a number of changes that could help ensure the financial sustainability of college athletics in its in-depth report, “Restoring the Balance: Dollars, Values and the Future of College Sports.” An important recommendation was that institutions should be rewarded for making academic values a priority. In addition, the NCAA has recently begun requiring teams to be on track to graduate at least half of their respective players in order to participate in postseason play, which was recommended by the Knight Commission several years ago. The NCAA’s Academic Progress Rate (APR) “had its roots in Knight Commission recommendations as well,” Kirwan says. The Academic Progress Rate is a team-based metric that accounts for the eligibility, graduation, and retention of each student athlete, each term. Beginning with 2012–13 championships, teams must earn a minimum 900 four-year APR, or a 930 average over the most recent two years, to be eligible to participate. The APR requirements increase further in 2014–15 championships; and for 2015–16 and beyond, teams must earn a four-year APR of 930 to compete in championships. “The NCAA has a long-running academic reform program,” adds McNeely. “It’s less about rewarding and more about expectations. The Academic Progress Rate is like a report card for each Division I school. Teams with high scores are publicized and celebrated. We used to rely on only graduation rates, but that’s a historical measure, while the progress rate is in real time. “We’re talking about college athletes; most of them will not be professional athletes. So, we want them to succeed in college so that they will be positioned to succeed in life,” McNeely says. Using data from the U.S. Department of Education, the NCAA, and its own surveys, AAUP paints a sobering picture in its report, “Losing Focus: The Annual Report on the Economic Status of the Profession, 2013–14.” Not only does the report target athletics spending, but it also notes stagnating faculty salaries, explosive growth in administrative positions, and tripling employment in non–tenure track positions as further evidence of the veering away from the academic mission. NANCY MANN JACKSON, Huntsville, Alabama, covers higher education business issues for Business Officer. As college and university leaders work to slow the growth in athletics spending and maximize athletics revenue, their efforts may be boosted—or overcome—by the court system. In March, Northwestern University football players were awarded the right to form a labor union, when one region of the National Labor Relations Board recognized them as employees. At the same time, the NCAA is defending other lawsuits that challenge its authority. One in particular, in which four college athletes are suing the NCAA and four intercollegiate athletics conferences, could result in athletes earning the right to be compensated beyond tuition, books, and other costs of attending college. “I do believe that the various lawsuits making their way throughout the courts will ultimately change big-time intercollegiate athletics in fundamental ways, with more of the revenue going to benefit academics and the student athletes,” says Brit Kirwan, co-chair of the Knight Commission on Intercollegiate Athletics and chancellor of the University System of Maryland, College Park. Meanwhile, the discussion has recently been broadened with the formation of the Former College Athletes Association (FCAA), a nonprofit organization designed to establish the infrastructure for the future benefit of former college athletes and to distribute compensation received from NCAA television rights and other revenue streams tied to college athletics. While the mission of the FCAA does not involve the ongoing efforts to unionize college athletics, nor seek to alter the terms and conditions imposed on athletes, its sole focus is on athletes once they leave college and enter the private marketplace.